Those who may not be fluent in Tigrinya or English, the impending conference in California will have competent translators who will help us all be on the same page during the conference. Here is a snippet of court certified translation of the five common denominators that will be discussed during the impending conference – for now, I will just share the headings. Indeed, tiHim zebele ytaHagom da’mber kaykowwun eti neger, to those who are not fluent in Arabic, the five thematic subjects are national issues and the minority ethnic groups will be discussing it under such a banner, and there ain’t a darn thing anyone could do about it other than screaming hallow-awyat. Question # 1 sounds more like the PLO hence irrelevant …. so is # 3 pathetic. The question of blanket recognition under the umbrella of Islam is going to be a highly polarizing issue which is destined to pose a great danger in keeping Eritreans hostage to a protracted civil war. Islam is a communal faith which is shared by almost all of the nine ethnic groups although I can’t say for sure if there is sizeable number of Muslims within the Kunama ethnic group which is not an issue really simply because even if there are ten Jebertis, this constitutes a legitimate constituency within this minority ethnic group. Suffice is to say that there are certain ethnic groups who have been victims of injustice, be that as it may, these folks have not been subjugated by past method of governances strictly in religious basis. If there has been a thriving faith that has never been subject to regime censorship and political magging, it is Islam in the history of modern day Eritrea. There are many factors and circumstances by which we can conclude that those groups have been marginalized but then again, injustice is injustice. While I want us to acknowledge this objective reality as part of the country’s contemporary history, we have to find a way to embrace the future with fair sense of impartiality for the sake of unity. It is crystal clear though, that the term Jeberti is an embodiment of Islam and in future democratic Eritrea, if all you need is the constitutional guarantee to exercise the freedom and place of worship, how does this fare with the secular ideals of the country’s political system if someone or certain group are to rally behind the preconceived belief that the “Jeberts have been oppressed” if their motive is in a bid to gain a foothold in the political platform? Especially in the continent of Africa, the issue of assumed legitimacy and playing victim has been used by certain interest groups and tyrants alike as the easiest way to shoot into the world of fame and power. (I don’t see it important to mention countries affected by this in our discussion however, numerous citations can be made in this regard) albeit I have no qualms that this can be the fate of future Eritrea, history reminds us that no country can be insulated against this type of dangerous schism therefore it is imperative that all parties must keep a due vigilance to prevent this. Anyways, I opine strictly from the vantage point of what has been written in this article alas, I don’t read minds. We had rather divert our energy toward more pressing issues such as petitioning the EU against granting the dictatorial regime billions of Euros – effectively giving PFDJ a much needed lifeline which could also mean prolonging the suffering of the people of Eritrea. Nevertheless, at a time when the nation is gasping its last breath under the chokehold of PFDJ tyrants dwelling in trivial issues such as this will only divide us more instead of ushering in mutual understanding in the name of the lost cause of unity. Yes,SIR,The Rule of Law,to the point and matured patriotic comment! Tihim Zibele dimma yitehaggom when it comes to the Eritrean Unity,which has been realized at the expense of huge and unheard of SACRIFICE! If the concern is that we are marginalized,well,the solution is not by marginalizing further others but by working for a Genuine National Reconciliation between the ” Mariginilizers and the Mariginilized”,at least in my opinion’! -If the rationale is to address the grievances,well,I think there are better and constructive ways of addressing them, not by bringing up untimely issues and in an untimely way! -Bringing Language and Biher issue at this particular period of time when our “guarantee or Wihsinet” for/as a Viable Nation and People is jeopardized ,is a SERIOUS THREAT to our National Security Interest! 1. Because many individuals which were driven out of the Eritrean battle ground and had been ignored by EPLF even after independence are using this times as the best of their ‘payback time’. They still are not clear of the anger and hatred and a sense of defeat by the EPLF. Their ultimate satisfaction comes not only from removing the government but also work backwards on everything that EPLF achieved. In short they want to render all the front and its achievements as a failure, so that they prove themselves correct. 2. “Zemene wirawra nebsika ayteebira” . These times of the weak Eritrea and vulnerable society are tantalizing temptations to wicked souls who want to come out as leaders; and when they can’t come out as leaders based on their merits they resort to cheap means like ethnicity, religion, language…etc. 3. To forge an escape route from the historical responsibility of not being able to save their nation by pushing the tyranny to collapse. Thus, by launching petty revolutions they want to look as if they are actually engaged in some sort of struggle, when in fact they have given up inside their heart. 4. Some people advocate and encourage these divisions under the presumption that it is the true meaning of democracy. Others under the presumption ‘kuslina aynihbae’. 0. God forbid and good luck to us Eritreans. 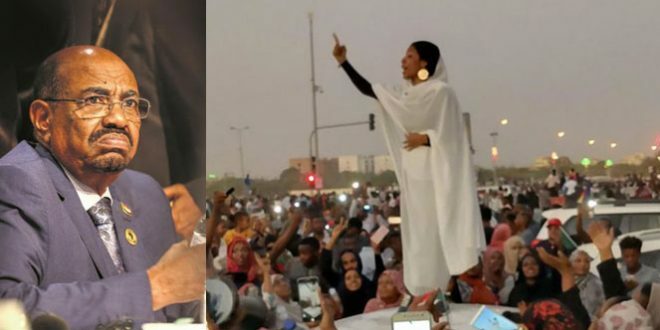 But as the good hearted Beyan put it below if there are leaders who are campaigning: “why would we come to fight against a regime to only be doomed to be marginalized again?” – I say they are failing again when their nation(bzeyafelalay) needed them! I appreciate your seasoned analysis and forbearance. I also read your cited articles, and got encouraged to look in to some perspectives with a fresh view. Thank you. Though it is inevitable, I also find it advisable that we all approach such delicate issues with scrutiny. Over excited and self-indulgent personalities have the tendency to use such issues of ethnicity and religion to advance their personal goals as history has taught us again and again, particularly, in third world societies which we also are. Your words of wisdom duly noted. kbret yhaballay. Am glad u expressed my view in the best diplomatic way! Yes indeed,we have to fight for our Rights but we have to be cautious and considerate the way we fight and express our views and rights! Am sure your Article is to the point but there are people ,might understand things differently! -Is the timing appropriate when we are struggling to have a united Front against Tyranny rather than a Disunited Front by raising sensitive issues like one segment of our society is oppressing another one? -In the current system really discriminating Jebertis over others? -Realtively speaking,irrespective of who is in power in Eritrea,don’t you believe that ERITREAN Jebertis are in a better situation than other Jebertis somewhere else,specially in our neighbors? -What exactly is the demand of Jebertis? In a separate note,as a reminder,I as a Blenay and as an Original Lowlander, think that the Blin people have been sidelined and oppressed to the extent of nearing EXTINCTION as witnessed by your favorite Prof Tesfabirhan Redie’! Based on these temporary issues,some tried to persuade us to create and join the Weyane sponsored Blin Peoples’ Democratic Movement! This is not to mention the issue of dividing Blin people based on artificial lines of Ad Terke vs Neged,which was used by previous Ethiopian Regimes and,interestingly,by PFDJ,which I was not aware until lately! 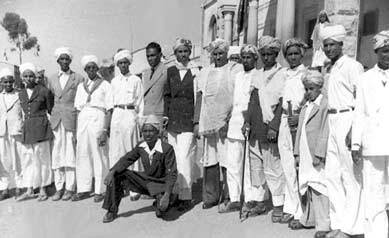 The worst,it was brought to our attention that the last Two Zoba Anseba Administrators( minus Gherghis Ghirmay) and the exiled X-Ministet were the top Agents of the PFDJ ,who tried to knee down and mess up the Blin People and their Socio-cultural and Linguistic Fabric to the extent of declaring a Civil War between the Blin and the Maria People! We rejected the idea of Tribal Politics and said NO,GO TO HELL TO THE WEYANE sponsored Region,Religion and Ethnic based divisive Politics and we rather opted for Reconciliation and to join our Universal Justice Seeking Bloc! There is no need of hurting the Unhealed wound and add injury to the injured wound of Eritrea and create unnecessary confusion for now! I do not see the URGENCY of Region,Religion,Language and Ethnicity based premature Politics of Justice! The time now is to create a United and Strong Front of Justice Seeking ERITREANS for Constitutional Governance then the rest will be history ! In my view based my experience,putting aside the old styled perception by some,the ERITREAN Jebertis have enjoyed their well deserved right relatively speaking,not just compared to the other Jebertis in the Region! This is not to mention the Jebertis being the most hard working and successful ERITREANS in all aspects! 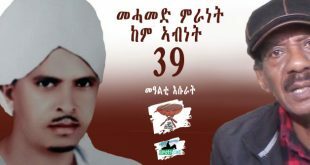 Their contribution to ERITREAN Political and Armed Struggle is well acknowledged and appreciated! The EPLF courageously did so! They are NOT discriminated differently ,rather the Christians or the Non-Jeberti Tigrinya Speakers are now the top victims. There is one FACT Yohannes tried to express that this kind of Divisive Politics has been used for dividing ERITREANS until this minute! We will never allow this kind of cheap divisive Politika of the day to mess us up further ! concern you raise about timing. Let me take you back between 1995/1996 dehai. obliterated wholesale those who had businesses. I don’t remember the details, but it was an awful overreach, seemingly, no sensible rule of law was initiated to address such issues. Simply, put, in an emotionally laced, knee jerk reaction fashion – belated we now are realizing it is PFDJ’s trademark; it forced the JH to go underground, soon after, many of them left the country for good. This, I am bringing, because at the time some of us challenged our then compatriots, the likes of Gidewon Abbay, to such an overreach, all the answers we received were to the tune of tsbuQ geberuwom, and many more unflattering terminologies that do not merit a mention here. One strike, the JH were made to be un-Eritrean, some even suggesting that their passports to be revoked…I mean it was just awful. Dear Hope, you’re asking the same questions, albeit in a respectful manner, which I appreciate, but I am here to say to you the only way you are going to have an unflinching and overwhelming support from those who have been historically marginalized groups in the opposition is when you begin to validate and acknowledge their concerns. They have been burned one too many times. They fought for independence (I am talking collectively of all minority ethnic groups here) along with their brothers and sisters of the Highland. What they received in return in the last almost quarter of a century is marginalization and disenfranchisement. You can refer to Ahmed Raji’s (2009) “Lost Rainbow” that he chronicled in this website. Now, why would they come to fight against a regime to only be doomed to be marginalized again? Hope, you have to see this from the minority ethnic groups’ perspective not through the lens of an average Highlander whose sole concern is removing the regime, which is something I fully not only endorse but I am as actively as possible helping in that endeavor in different capacity. If you endorse their demands such as they be about ethnicity or refugees’ right of return, land proclamations, official language issues, and the like, such a compact now, a covenant of sorts will go a long ways in bringing them on board as opposed to seeing them as backward thinking as some have done. Assurances through genuine dialogue about the Eritrean concerns, underline that, Eritrean concerns, nothing outside that scope will catch my attention, for we are speaking of Eritrean proper nothing beyond that. Those who wish to extend outside that parameter I have nothing to say to them. I just read your note and have to reread it to see if I may have missed anything that should be addressed, and if there are hope to address them in due course. This is just a hasty response to your note as I do not want it twisted and turned into something it is not. I sense the genuine[ess] in your note and wished to reciprocate in kind. I thoroughly enjoy when someone gives another the benefit of the doubt, instead of jumping to motivations without any shred of evidence. Bringing metaphors of ostriches and rats, there are endless meaningless, context less, bereft of any historical, cultural, and sociopolitical dynamics as they relate to Eritrea that one can reference, and they will never stick, especially when they come from those who are coward enough, gutless, perhaps their hands have blood in them as they could’ve aided and abetted and the current criminal regime that is about to indicted in the international court of law, hiding behind political QomishTi to incite flames will just not work. In due course, they will be hunted down, literally, just let the NY CoIE pass the resolution, that’s all I have to say about that. The more the kinds of outlandish accusation and allegation surface, the more the marginalized groups will be convinced to convene to assert themselves. Reverse psychology is at work, please keep’em coming, and you are just unwittingly helping the cause I am trying to advance. passes, then the discussion sort of loses its substance. In my case, I was banking on those who presented at the seminar to put their critique of the book in the comment section, which was a matter of copying and pasting, and I pleaded to them to the effect, and the author (Dr. Mustafa), likewise, asked of them to do the same, but it wasn’t meant to be as no one heeded our suggestion. There was one particular review written in Tigrinya that I have read in a temporary group e-mail that was gathered for the purpose of the seminar. Obviously, I couldn’t post it without the author’s permission. I even asked if they could just copy and paste, needless to say it went on deaf ears. Of course, the other obstacle is time, it is not in my favor this time around, but thanks goes to SGJ, KS, Tes, and many others who by default were compelled to mind my store – I am grateful to that. A host of other variables play a role in some of the writers who seemingly drop their articles from a virtual helicopter and vanish. to have time to engage my readers. But I digressed. with a formula that would not end up victimizing those who have been victimized in the last 25 years now as Ahmed Raji’s “Lost Rainbow” had shown. It is not about political representations of today, but of tomorrow’s Eritrea that we must address now. We can certainly chew gum and walk at the same time, as such we can do both have coherent opposition while address the sociopolitical diaspora climate as we make it minority groups friendly, not as some wish it replicate the Donald Trump and the Ben Carson version of Eritrean political landscape. Let me leave you with the two paragraphs that might tap into some of the concerns you have in hopes of letting you see it from a different lens, a lens that could conceivably help us bring the rainbow coalition that brought independence could also now jointly help remove the menace at home. “With the demise of the ELF from the field, a crisis of personal sorts began to emerge, because of the leadership vacuum that was created in the absence of ELF, its adherents were left clamoring to rediscover their God, their culture, their language, their heritage, thereby, slowly but surely thus began a retreat toward one’s own. The Jebertis found comfort in their own kind, the Sahos the same, the Tigres no different. This default alignment continued unabated until 1991 when Eritrea became independent. But, the systematic exclusion of Eritreans who did not subscribe to the EPLF’s political views helped maintain the defaulted alignment of each groups aforementioned, at least abroad. Guys ….let someone read the book ““Menyom Ertrawayan Jeberti” first and then come with constructive criticism . The discussions should be about the Book!!! The art of playing “victim” has been around for as long as humanity and since it is an art in its own right, one has to utilize a strong power of persuasion in a bid to convince his/her audience. In this regard, the “actor” has two options. Option one is “convince” them and option two “confuse” them. In Beyan’s case, the later is his choice of modus operandi but he failed miserably in instilling his unscrupulous agenda into his seemingly unsuspecting audience. Once he does so, he felt cornered and intentionally misconstrued the points I raised with disperging remarks whereby he levelled my way of thinking as “hegemonistic” simply for challenging him with important questions which he had no leverage to answer given his sectarian agenda. He then decided to make a tactical retreat by demanding that I disclose my identity as a condition to carry on with the dialogue, which in practical terms is the “ostrich syndrome” in where the big bird bury its head in the sand in a bid to escape imminent danger how smart and yet I am the “unintelligent”. He opened a can of worms for all to see and failed to explain himself as demanded. This heretical article was ostensibly published as a synopsis correlative to the book signing ceremony however prevalent with anachronistic overview that has no relevance to the contemporary historical background of the Jeberti. you and your likes are facing one reality but are trying to cover their eyes like donkey who saw the lion and cover her eyes covering by her ear – you know what she is trying to say ” I didn’t see you and you didn’t see me” we are watching you and you are watching us, Jebeti said we are an Ethinic group, just because you couldn’t challenge them you don’t want to say you are not but only try to blame them as if they are “declaring war”. you need to face the reality when you and me work against PFDJ, it is because they have lost respect as they didn’t respect the people. nothing else. one of the points is their stand on Ethnic groups. remember, when someone says this is my nation, it has deep meaning. it is my nation because this is the nation where I born and this is the nation I die for and this is the nation connected with me. Jeberti is an Ethnic group. what I am saying is simple, call me by my name. respect my history as I do. is that okay for you? now you also said “I feel, the Jebertis just want to have power ” what power? what do you mean by that? what type of power? I don’t understand this one. Power over whom? for what? try to answer that and please read the article of Amanueal in next page. there you will find one of the choices we have to manage on how to have equal leadership. if that is what you mean by power..
and you said “I grew up in a place with many Jebertis, and I was being sqeezed out for being a christian…. they used to work against me, because of my faith. Eritrean orthodoxes are very relaxed in their religion…” don’t let me say my experience, I will not bring it here if that will not serve my beloved People of Eritrea. we all have our own experiences but we know also how HS played to create deference. but in general we Eritreans are innocent people and all what you experienced will not represent the mass. we are here to clear and clean all misunderstandings not to complicate things. Now, what ever you experience or I experience can be cleared by creating respect and love. Good points… I don´t see how the Jebertis are marginalized and I too have never seen animosity between the 2 faiths. Right, they also do better than the orthodox. Actually this is the fact; the Jeberti do better than the orthodox, the Kenisha and catholics do better than the orthodoxes….. 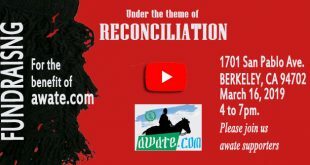 It is the orthodox who does worse, and who gets “discriminated” and looked down by Jebertis, Kenishas and catholics….. The orthodoxes however are friendly with everyone. That¨s the actual truth! I read a similar point made by Semere Habtemarian a while back in one of his articles about the luck of opportunities faced (historically) by Eritrean of Orthodox persuasion, but he did not go to much detail. You are making a similar point, I guess it is compared to the educational opportunities that Catholics and Protestants may have gotten in the past through their respective Churches, I also assume by including Jeberties the advantage in mind is the opportunities of studying in Arab countries in general or Al-Azhar for religious instructions. The assertion will need to include the opportunities received from the State or State Institutions pre and post independence to give a balanced analyses and show the extent of marginalisation. In an environment before the Badme war our discussion would have been on who is faring better, unfortunately, at this juncture if we are to make a comparison it tends to be who is fairing worse. In any case if your assertion is in fact true (showing my ignorance), please elaborate, it will help us to understand the marginalisation faced by our Eritrean Orthodox. It also helps fill the gaps in knowledge and give us a full picture of the challenge faced by our people. ways which has many shortcomings by itself. truly reflect the society at large. there might be or may not. but now people want to be known by their ethnic groups. everyone is concerned of his root. since people are important and everything is for people, you don’t have to go against the wave. people are not interested to be classified by there color or size, gender etc. the first thing people are proud of their ethnic grouping. that interest will be completed and fulfilled by allowing their choice. otherwise you will witness when one wants to be higher than the other or will want to monopolize the other. see, say it ethnic, religious, regional, or political differences, it should be solved through freedom and equality. if that is kept properly only ,you will see peace tranquility and yes development. If not you will live in conflicts…unity is only based when you accept the reality that we are different ..Not Hade Liby thing. there will never be Hade libi if you keep singing for century as people are very practical. We have already discussed how much Jeberti were victimized. they were the first to be hunted by MaHber Andnet. and they were the first to be victimized by our national revolution. we don’t have to repeat everything. say it religious wise or language wise or any thing you want if one says I am an ethnic group it is. if I am saying my name is Kokhob I am Kokhob and you cant force to change my name. if one day we come under a system and rule of law (as you named your self) , and deiced to discuss about factors that makes a group an ethnic, then things will be cleared. if the factors you and criteria that makes and ethnic group is taken from volumes of Lenin then forget about it as there is no ethnic group in Eritrea with that criteria. the intention of Beyan is to create unity while respecting differences. God created us different in color, language, and culture in general so we will go to ward him united accepting differences. the crime will be counted when we try to unite by force and be under the onc who won the war. this is mentioned in Christianity,Islam,Hindus, Buddhism etc. 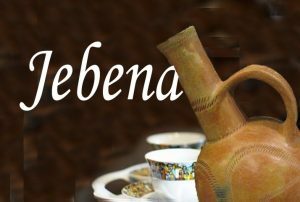 if you are from Tigrinya, I know Tigrnya equal to you and I love it but I don’t want to be called Bihere Tigrnya , I want to be called Bihere Jeberti as I have different way of eating, wearing, talking, and above all I have a root which I am proud of. If you want to make one ethnic group out of those two, then it should be also my choice only to do so not by deleting my name as PFDJ does it. I couldn’t have said it any better. Thank you Ks. No point in dwelling over the prophets of doom and gloom. 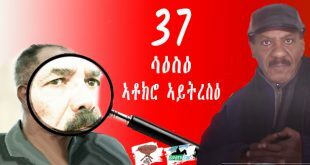 All the prophesying over something that does not exist, “guns…destruction” and the like is nothing more than a ploy to keep the only hegemonic force that had dominated the political landscape in the last forty some odd years is meant to legitimize its political upmanship to a privilege in the future of Eritrean political discourse. They can choose to smell all the rats they want, Eritrean minority groups will keep marching forward and when the right time comes the peaceful discourse will ensue. Seeing something that had not been done in the diaspora taking shape makes these pundits nervous, but that’s hardly my problem now, let’em continue huffing and puffing. This is why hiding behind a veil is beneficial, because when they are proven wrong, we will never know who these phantom creatures are, would we? What happens in Vegas needs NOT stay in Vegas as I am willing to bet when proven wrong these virtual ghosts will never come to life to say, “you know what Beyan, I was wrong about your intention, Kudos! for helping bring all these ethnic groups to a round table discussion on issues related to our common state of the union called Eritrea.” That will be showing way too much of a dignity, character, and integrity, these characteristics are hardly attributes in those who hide behind screen names. So in a way, you do want to dominate us… Were is your gratitude for our tolerance and caring nature towards our Jeberti brothers?…. When you know the suffering of the Kunamas, Naras, Beni Amer, Hidareb, tigre speakers, then you know you suffered NOTHING in comparison…. you need to have a slight respect for that. let me fist ask you, I am really trying to dominate you when I say I have my own ethnic group as you do and I am rejecting to be categorized under other ethnic group? rejecting to be dominated is not dominating others, isn’t it? 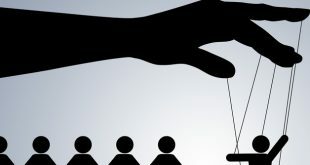 if you and me agree at the meaning of dominate is to control others, to have or to have more importance than others have ,,then please take out the word as that is not me. again did I say others don’t care about Jeberti? no, for God sake I have a blood brother, please don’t do that to me. and you said “When you know the suffering of the Kunamas, Naras, Ben…” did I say the war planes were bombing only over jeberti villages? arn’t Jeberti villages almost all mixed with others? but what I said is like you mentioned by their name (Kunamas, Naras,etc.) name Jeberti also. again you mention Tigray Jeberti..”there were Tigray Jebertis working against the will of Eritreans during amhara and Isais..” the same there were other ethnic groups from Ethiopia who were against Eritrean freedom at all. what is on that? and they were not targeting only one ethnic group. and by the way, you can’t blame people in that political situation and develop hate. But Ethiopian has nothing to do on this subject as they have their nation and we are talking about our home Eritrea now. remember there are Kunama Ethiopians, there are Saho Ethiopians etc. and you said also “But I will give you for having the balls to start the revolution in Asmara! !….” what do you mean? why they have to give me and why I have to receive? 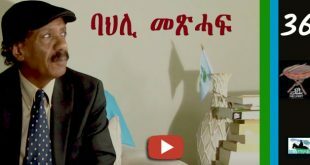 is Eritrean Jeberti really interested to get support from others when he has already the Tigrinya,Saho,Kunama, BinAmer and all other ethnic groups from Eritrea ? No !! Sara, you are talking with full of hate and emotion mixing everything with everything, come after you come normal to say things. I am following what brother Bayan Nagash is dropping lines in response to the comments. These lines, which are dropping here and there are contradicting with my insight about our teacher and and prolific writer on contemporary Eritrean politics. I am not able to figure why but I am finding some of his lines shallow for a cause. Politicially, they might sound good but from legal point of view they are lines that shouldn’t be said. Bayan Nagash is our mentor. He is the one who loves justice in all aspects. His writings are reflective of what he has inside his heart. They are all time friendly and approachable but I don’t think he was writing like that to win our hearts but to call. Winning the heart is temporary but calling is permanent. Once the heart responds truly, then a sustainable solution for the desired objectives can be attained. But winning the heart blocks the way and sometimes it might create blindness. The later is what it happened with Eritrean people. 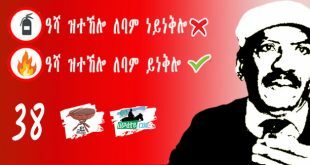 EPLF won our heart and we submitted ourselves without questioning. Again we won’t work to win but to install justice. “You will not win the hearts of Jeberti by blackmailing them like the man at the helm in Eritrea has done time and again.” — in response to Rule of Law. Dear Bayan, I don’t expect someone to win the hearts of anyone except to respect his choices. This is a wrong conception in people’s grievance’s discourse. It is not sustainable but deceivable. If one works to win the hearts of people, it is only of political in nature and lasts short. When one put this line, I am not quite sure whether it was done consciously or not. I found it too shallow and against the rights of human being. No winning but Creating a conducive environment of mutual respect is the sustainable solution to solve our problems and hence this is what we ought to work upon. Dear Tes , heartfelt greetings to you all the same. I was walking back my way to the many insightful comments and questions that were posed by readers like you in hopes of reaching to a higher level of understanding, albeit belatedly. You’re putting me on a pedestal that I feel I cannot live up to – I appreciate the reverence, I likewise reciprocate in kind with anyone I encounter. Respect, as you aptly observed is a two way street. On the items you quoted above must be looked at in their context, the context in response to what was said. So, when I stipulate that one cannot win others’ heart or minds for that matter, I am responding to someone who wants to pummel others to submission much the current regime has been doing for a quarter of a century as a nation and who knows what else he had done prior to that during the struggling years. comments I mentioned in one of my responses earlier bears repeating here. In a gathering in Germany, among other things, he said this: politics is about winning, something to the effect. You can access the clip on youtube. So, if he was speaking about the U.S. or German politics, I would’ve not questioned the premise. But, the context was about Eritrean politics, and Eritrean politics demands to be seen in different light. Politics, be it of diapsora or the home-front variety, should never be looked at through that prism, simply put, because Eritrean political landscape requires different conceptions, conceptions that inculcate the marginalized groups, contexts that put into consideration the rights of the minority groups within Eritrea’s proper…without any due consideration of such matters one is bound to railroad those who do not have the numbers to get a say in any of the national projects – it will invariably be defined by the majority rules. head of the snake at home. Tes, I couldn’t agree more with your assertion: “No winning but Creating a conducive environment of mutual respect is the sustainable solution to solve our problems and hence this is what we ought to work upon.” If this was a promotional ad, I would’ve said I approve the message. But, it is something that’s coming from a deep recess of someone’s heart, someone who openly shared the story of his family in a touching way, to which I had not had a chance to read before, but felt honored to have done so this time around. A lot of times, there are stories that touch us to the core of our being, but due to time constraints we do not share our thoughts. I am really dying to read Amanuel H’s article, for example, and each time I come in to read I find messages that need my immediate attention, this one is no exception. Dear Beyan , before going to other articles allow me, to put the bellow poem as record under this article. if you are talking about choice, who is the chooser? as for me people are first and fist always. having one party is the choice of only that one party and it will not represent others. in case the parties put one representing party as central leader which is also collectively chosen by putting representatives, then that may work. but ignoring all others and monopolizing the nation is not really choice that will lead to peace and development. 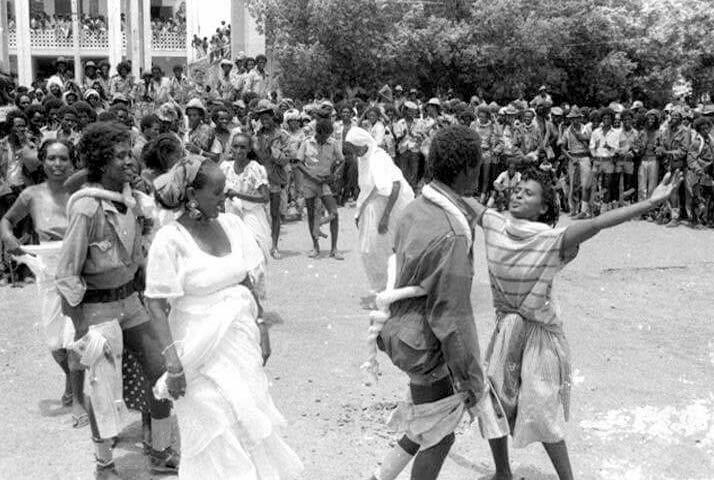 the best example is the party we Eritrean have today. so far Eritrea is in worst situation and Ethiopia is at least better. and managing Eritrea is supposed to be easier than managing Ethiopia. In fact we are fighting against this idea, monopolizing people and there property , culture and every God given freedom is a crime. sum game cancelling each other always ? I am a believer of quite the opposite ! your response however not forthcoming and most notably polemic was long overdue but you still didn’t defend the content of your writing which some readers received with a grain of salt instead, you resorted to character assassination. Your demeanor displays a distinctive trait that of the seventh century Athenian statesman Draco in the way you portrayed your critiques as “unintelligent” This type of dismissive attitude defeats the purpose of constructive dialogue in public discourse. Elementary principle of writing demands clarity but your writing was prevalent with abstract overview that offered no room for the “unintelligent” majority like myself to give you a benefit of the doubt. I am yet to read the book and if I were you, I would just wait until I read it and come up with due chapter by chapter assessment. While I take the literature on the beautiful culture of the Jeberti with complementary approach, you on the other hand, failed to offer relevant historical perspective on the subject matter “Jeberti” as to dissecting its terminology and historical background all the while you took an advocacy stance as you put it again “Jebertis have been and continue to be purveyors of their culture despite centuries of hegemonic forces” I am positive that the meeting in sweden could have been held in good faith but It is crystal clear that you used the opportunity to promote your hidden agenda which is counterproductive for the unity of the people of Eritrea. At at time when Eritreans are perishing in the high seas by the droves, dwelling in trivial issues such as this one is quiet deplorable. 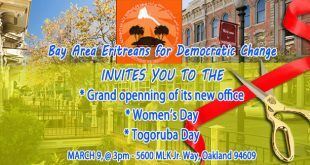 Now, it does not dawn on you that the same can be said for anyone who may wish to forge good relations with Tigray as in having the Tigrinya project. Being paranoid won’t get you anywhere, it only exposes the arrogance and the hubris in your thinking, a flawed one at that, one that reeks to the high heaven. If you want to win the hearts of Jeberti from the Eritrean hinterland, the best thing to do would’ve been to stop treating Eritreans with suspicions, no matter where they hail from. If you think I have a hidden agenda then all I can say is more power to you Rule of Law, since your penname gives an insinuation that you have respect for law and order, the constitution and the whole bit, then you should know better than to render as guilty party without any shred of evidence – ironic choice of a pseudonym. You will not win the hearts of Jeberti by blackmailing them like the man at the helm in Eritrea has done time and again. You would have to think hard and fast to come with a strategically sound political project. Nobody will fall for blackmailing anymore. Here is my hidden open agenda for you. I want to see all of the marginalized groups come together to become the force to contend with, then and only then, would your likes begin to listen. It worked for Obama, I see it working beautifully for Eritrea in the future, where no group will have a field day to treat any Eritrean group as a second-class-citizen. The hegemonic power that you may have enjoyed in the past will dissipate into oblivion, couldn’t survive a day in a democratic world. So, have an alternative strategy, a strategy of give and take, a strategy of respecting other cultures and ethnic groups, the huffing and puffing will get us nowhere, will only leave holding Republican bag, a bag that Donald Trump and Ben Carson so eloquently represent. under yet another penname, pity that you chose to hurl stones from a glasshouse. I cannot even give any shred of respect for someone who accuses others when he is hiding under a veil of rule of law – This has to be a mother of all ironies, please unveil the veil first so we may have mature dialogue and discourse. “Menyom Eritrwayan Jeberti” as work of literature. Be that as it may, let me just point out some of my observation about the comment section. Some almost made it sound I was about to go on ethnic obsequiousness. The piece was conceived and written in the context of a seminar about a book, but because I didn’t read it, there just was no way I was going to delve into it as a work of literature or as work of history, hence couldn’t offer my perspective based on those who gave their review, a second hand review of a review would just not work for me. Gual Beshir was the exception in this regard who gave synopsis of the book, which was refreshing read. trying to undo what had glued them together. Now, it was inevitable that the Jeberti issue was going to turn, at some level, to the “essentialist argument”. Ignoring all at once the intersectionality and multidimensionality of the Eritrean Jebertis makes an essentialist argument untenable. No mincing words needed by some, delving headlong with no hint of smarminess in the words they chose was just impossible to not take note of. the least. Suffice it to note that sufficiently intelligent rejoinders were coming to annoy and as a deliberate choice of epitomizing the essentialist arguments through the now anachronistic notion of parochialism, regionalism, religiosity, etc. – to stoking and fanning the flames that might ingratiate and embolden others to go on a tirade – that’s to be expected, and that’s just part and parcel of the kind of dialogue that must ensue if we are going to go to the level where the book wanted to take us. At the end of the day, reading the book might just save the day, which I intend to do come Winter Holidays. Let readers be the judge if I am the one who is using arrogance as a modus aperandi to push my message across. Needless to say as part of our discussion I asked you to paraphrase your original piece and you set forth a condition that I use my real name. Why does this matter as long as we are pursuing this topic with civility. By no means you represent the Jeberti and I am quiet appalled by the fact that you are trying to create undue conflict between the Jeberti and I don’t know the other party. Why else do I need to “win the hearts of the Jeberti” I am sure you are a learned man but history suggests that destructive theories originate from learned individuals. The leader of the ISIS holds PhD although I’m not sure in what discipline so does his deputy, Abualla Afri, a physicist. Aiman Al zawahiri is a medical doctor. Now you can understand why “unintelligent” folks like myself react with “paranoia” whenever we sense signs of danger sprouting in a legitimate hotbed such as this forum and I do believe it is the responsibility of all secularist freedom seekers to uproot these types weeds of discord on sight before they bear fruit. Well, you have chosen to escape from touching base the real issue by demanding the disclosure of my real name. Request declined. Case closed, indeed. I am glad you chose readers to be the arbiters – I have proven track record through my writing, from which they will have a somewhat complete picture, how would they assess someone with no name and no written record that they can tap into other than, to my knowledge, seeing you popping up seemingly arbitrarily now. 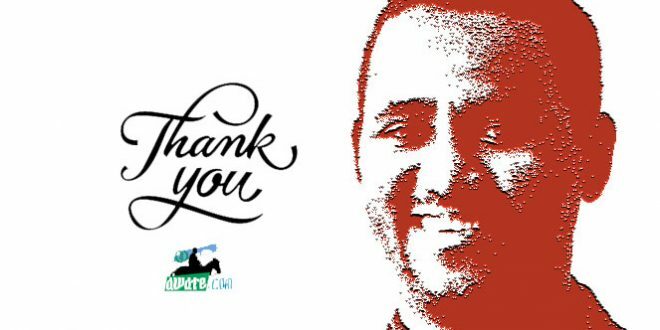 You stay antsy and I pursue what I deem will work for all Eritrean marginalized groups to bring them to national political landscape in which they will play critical role as they did in the nation-state project. Just to point out that the erudite bunch with PhD or not have been instrumental in getting Eritrea in the mess she is in, mind you in the name of secularism. If you think my hidden agenda is to encourage the ISIS like mayhem makers to exist in Eritrea you have wild imaginations. The latter’s project is to eliminate folks like me before they get to you. So, rest assured that I will be your cushion, the cannon for their ugly fodder, I just hope you won’t look the other way until they begin to get to you much as what has been the case with our own current ISAIAS whose main followers looked the other way thinking they were going to be spared until his ruthless machete began to attack them one by one. Good luck with the unprovoked anxiety, my dear countryman. We will talk post the impending conference of December and I will tell you all about it, in this space, no less, which I gather has become yet another source of consternation for you. Not quite Beyan, there are many of us watching silently who share the concerns of “rule of law.” We noticed the hidden agenda early on except we didn’t realize the deep ruted hatred of some “Jebertis” towards the Tigrigna ppl. It is a fact that many of you are using this difficult times to promote your agenda as if the dust won’t settle. Personally I want one united Eritrean family but you want to divide it into United minority and the barbarian Tigrignas. We knew some time back all the religious and language issues are being perpetrated by some “Jebertis” not the other minority groups. By his sheer arrogance, Beyan is stating his mission of uniting the minority groups against the barbaric Tigrignas. Your cheap trick of using the evil Isayas to promote your open agenda is an insult to us. FYI, almost 90% of Eritreans are one family and your destructive plan will not last a single day. In Beyan’s twisted democratic world the minority rule. Hence, he wants the minority to marginalize the majority using the dirty religious blackmailing not the other way around. “Rule of law” is not the panaroid here, it is Beyan and his cohorts who use non-existent facts to blackmail and declare religious war if they don’t get what they want. Simply put, Beyan and his cohorts are joining the fight against the evil Isayas to promote his stated mission. I only hope the wise and smart intellectuals like Saleh Y. will put an end to this divisive and destructive plan. The Alnahda party will exist only if it distances itself from the destructive forces. Beyan and his cohorts should know that there is a valid complaints against the “Jebertis” and their approach will only antagonize more ppl against them. Dear Kidane, I don’t want beyan to reply you on this. I don’t see any reason to describe Beyan in such way. and even you go farther saying “declare religious war” is that declaring war if someone wants respect among ethnic groups? are you saying if Jeberti will be called as biher you will open war? are you aware of what you are saying “Personally I want one united Eritrean family but you want to divide it into United minority and the barbarian Tigrignas” who is barbarian -Jeberti people? and my friend are you telling me your are my family while trying to call me in your name? I will not agree on that for example. I am not yours, I am not your family member (as kokhob). I don’t want to cheat you saying so. we are different and we have one common nation. now, by force you want to put me under you? this is the thing. you are directly calling for war. If your elders has told you to put me under you during your childhood, that is not my problem – you need to reprogram your mind. don’t ever try to play by calling others when you are discussing as if they support you idea. Let me tell one fact, Jeberti is Jeberti if you like it or not – your approval is not needed. even no once approval is needed. it is just a fact. can I say your ethnic group is not Ethnic group and should be called under Jeberti? No way, I can’t. I am one of the readers and I feel you are trying to escape from truth. first you should not use giving example of those ISIS leaders at all for one clear reason, the man brought in to light only what the meeting was all about and he gave brief information. we discussed about it and by now people among us who don’t know or who were misinformed has got what Jeberti is. don’t tell me you and me know very well about Jeberti and don’t even expect me or you to have still mastered the case but at lease we have seen how much important is to know. Eritrea is lucky to have such men who are honest to their people with such knowledge and wisdom. for your information Eritrea is very much exposed to face armed forces like ISIS as the case that creates this type of extreme movement is there in front of you – PFDJ. but we Eritreans in general are not adventurous people and as I told you our educated men and women in all ethnic groups are very conscious and peaceful – this applies also to all our politicians and political parties. If it was for PFDJ’s way, we could have been in civil war today. matured politicians knew there are people who misunderstood and are not aware where PFDJ is heading are teaching us how to handle things. Dear Rule of law, nothing remains as it is and we should not afraid of changes. One of the changes we are facing today is accepting others as they are and allowing them to leave respected as far as they don’t force you to accept their believe (Political and religion) and their culture all. Since we will not have choice except to accept the reality, let us do it also respecting the ideas and views that flows. that’s too stupid and bad! But that shouldn’t bother you, should it?